There are two types of packages: Bowling & Party Room or Bowling Only . This package gives you the party room which allows you to bring in a birthday cake or cake substitute and have dedicated opening birthday present time. If you have more than 10 guests, you will need additional lanes. Limit: 5 guests per lane. Keep in mind there is only one table with 4 chairs per lane…so if you have a lot of non-bowling guests, you may need additional lanes to accommodate the space and seating of your entire group. When you book additional lanes, we do allow you to downsize one lane the day of at no charge. Arrive at least five minutes prior to your reservation time to check in and pay the balance due. Bowling will begin about 15 minutes after your reservation time. The lanes will automatically turn off after they have been on for 1 1/4 hours. At the end of bowling you will move to the “party” room. That is when you setup and decorate in the room as your guests are putting their shoes away (tablecloth, plates, cups, utensils, decorations and balloons are allowed…confetti is not allowed). With this package you are allowed to bring in your own birthday cake and ice cream, other outside food or drink are NOT allowed. You will get a free pitcher of soda equal to the number of lanes you rented and free shoe rental. You have up to 1 hour and 15 minutes in the party room for cake and gift opening time. The cafe offers various food options (i.e. kid's meals, pizza) for an additional cost. Check availability & make your reservation today! This is a bowling only package. Outside food (including a birthday cake or cake substitute) or drink are NOT allowed. 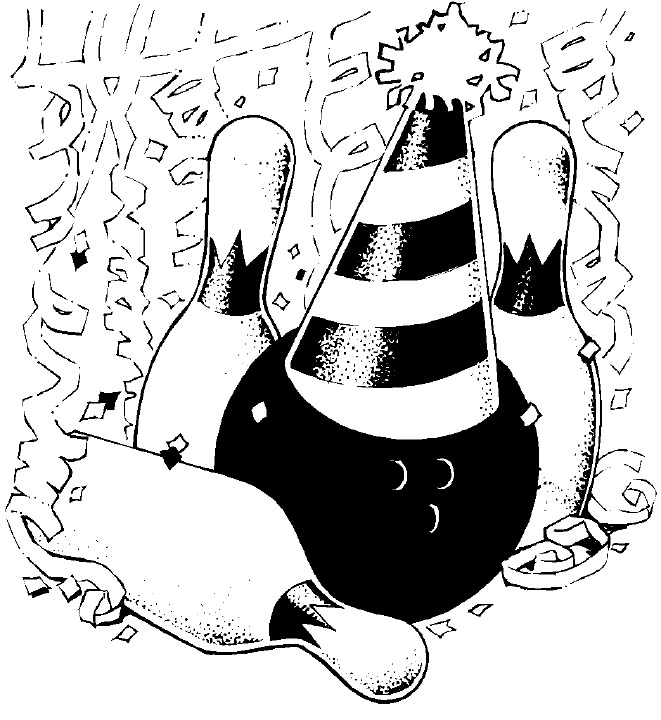 Decorating at the lane area is accepted: balloons, centerpieces; confetti is not allowed. Arrive at least five minutes prior to your reservation time to check in and pay the balance due. Bowling time will begin about 15 minutes after your reservation time or when the first ball is thrown, whichever occurs first. The lanes will automatically turn off after they have been on for 1 1/4 hours. You will get a free pitcher of soda equal to the number of lanes you rented and free shoe rental. If you would like to have gift opening, you can do that at the lane area during your bowling time. Keep in mind that when the lanes turn off you are done and the bowling time can’t be “paused”. Birthday Parties are during the day prior to 6 p.m. only. Call for availability of times for your specific date. A $40 deposit is required to secure your reservation. The deposit is applied towards the package price.